On March 15th last week, we woke to a bare Catskills landscape like it had thrown off its white quilt in the night and saw a high of 65F that day: such a stark difference from last year on the same day in the same place, where it remained at 37F and covered in snow. We re-stocked the surviving bee hive with food patties for the bees, just in case we got another cold snap, and put back the lid. Last year, we built a heavy “roof” for our hive and insulated it with old, woolen sweaters and pillows and this seems to have kept them warm. The hive is thriving. 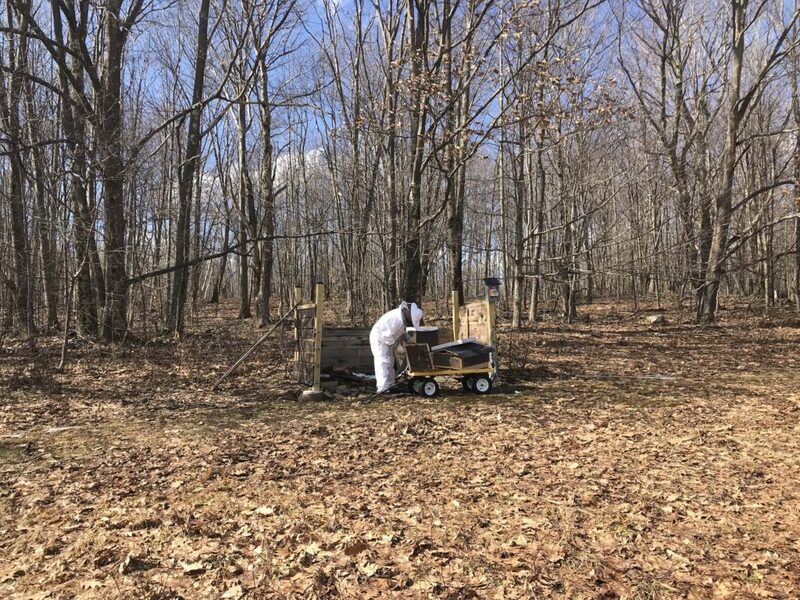 This entry was posted in Farming and tagged Bees, Catskills on March 18, 2019 by JNUrbanski. 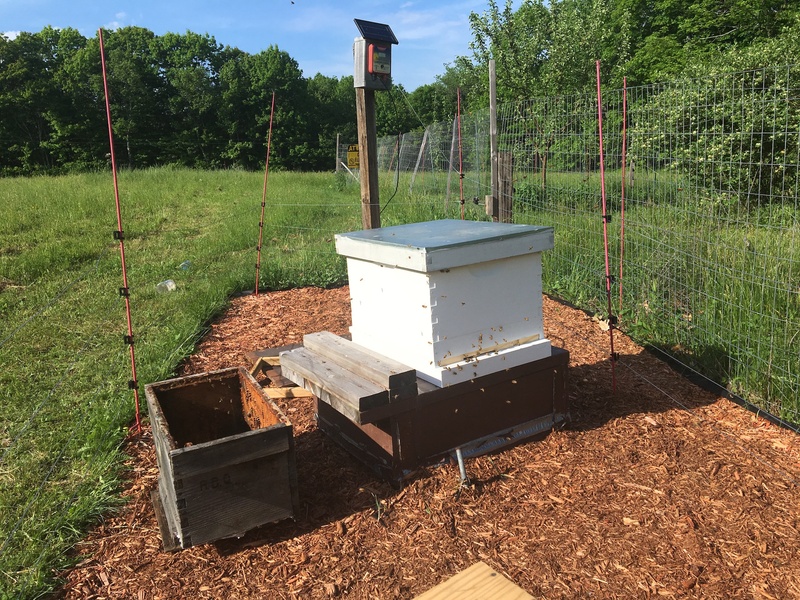 Upstate Dispatch is now the proud owner of a nucleus (“nuc”) of bees developed for us by a Hudson Valley beekeeper and after picking them up, and driving them home, through the Catskills for over an hour, they were pretty agitated. Not for them the excitement of driving over the top of Kaaterskill Peak, past Kaaterskill Falls in enigmatic fog. We installed them in their new home, gave them sugar solution and fresh water, but they remained pissed off for several hours, buzzing around the hive frantically and attempting to sting us. 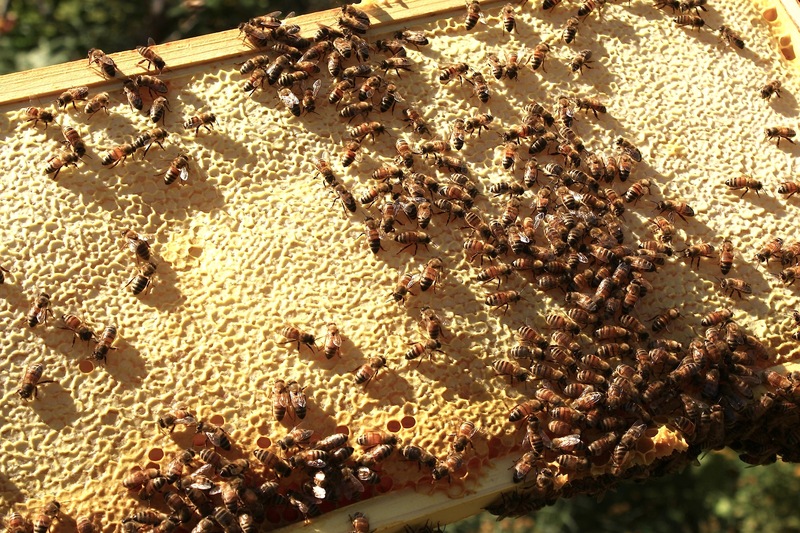 When bees are pissed off, they fly angrily, darting around like little black bullets, all in perfect unison. This entry was posted in Farming and tagged Bees, Catskills Beekeeper, Catskills Beekeeping, Catskills Writer, Upstate Bees on June 4, 2018 by JNUrbanski. This entry was posted in Farming and tagged Beekeeping in the Catskills, Bees, Catskills Bees, Save the Bees on January 30, 2018 by JNUrbanski. 63F and cloudy at 9am rising to 75F by 1pm. 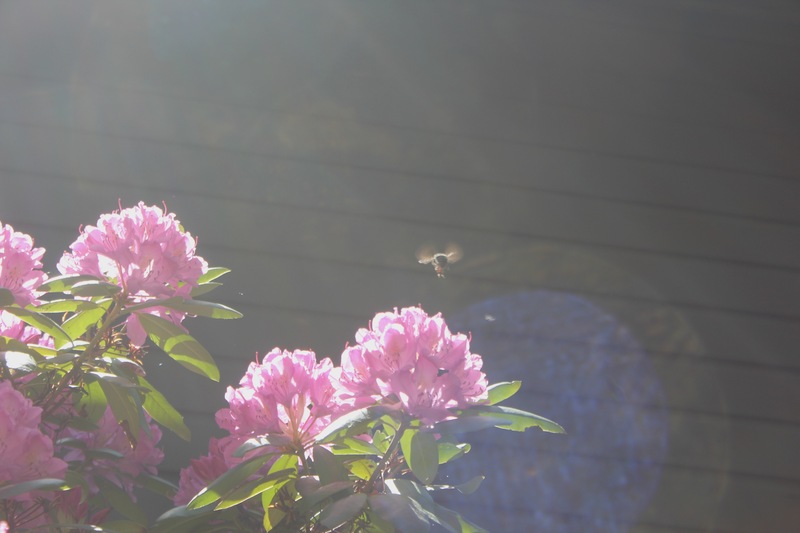 This entry was posted in Daily Catskills and tagged Bees, Bumble Bees, Catskills, Flowers, Photography, Spring, Weather on June 5, 2015 by JNUrbanski.